To DC gallerist Marsha Ralls, recently profiled (Gallerist Snapshot) in the current March issue of Black & White Photography magazine. Marsha is also taking work by the artists that she represents for a four day exhibition at the Four Seasons Exclusive Club in Dubai March 6-10, 2007. The March Washingtonian magazine issue has a must read article on Corcoran Director and President Peter Greenhalgh and the upcoming $2 million Modernism exhibition which opens March 17 and claims to be "another debut moment for the 138 year old Corcoran Gallery of Art." "Greenhalgh is the son of a blue collar construction worker, a divorced father of two grown sons with a strong charm & personality that has made him a hit at 'a quarter of a million cocktail parties' as he tries to figure out Washington society." More importantly, he already owns local art! He recently purchased Linda Hesh's table centerpiece at the recent WPA\C auction. I generally give the WaPo a lot of deserved crap over their heinous lack of visual arts coverage. But when the WaPo gets something right about local arts coverage, then they also deserve some credit; today they do. Bob Samsot, the Editor of the WaPo Fairfax Extra wrote a terrific article about the Gold Key Scholastic Arts Awards. You can read his article here. Furthermore, I am told that the front page of the Fairfax Extra itself features cover art by one of the award winners - plus, the paper is filled with images of additional award winners. The names and titles of works of the winners are also published here. I think it's terrific that Bob and the Fairfax Extra published this, and in one day he's given more column inches and images to the local arts news than I've seen in the past couple of years in the Style section of the WaPo! Call to Artists: Drawing Invitational exhibition sponsored by the FSU Museum of Fine Arts, Tallahassee, FL. Media: Drawing. Open to artists 18 and over, no size restrictions. Each artist may submit up to 10 images in slide or jpeg format with a return SASE. Works of art will range from intimate, transitory thoughts in numerous drawing media to finished drawings that are intended by the maker to rival the serious nature of other fine art endeavors such as painting, printmaking, photography, and sculpture. Exhibition is scheduled for October-November, 2007. A catalog will be produced. For more information please contact: Allys Palladino-Craig at 850.644.1254 or apcraig@mailer.fsu.edu. The Midcity's Artists' Winter Exhibition at Rseults Capitoll Hill. Opening Reception, Thursday February 15, 6:30 – 8:30 PM - 315 G St. SE Washington, DC. Hosted by Bobby Van's Grille. Robert Wiener, Anita Walsh & Colin Winterbottom. The woman whose break-up emails were the subject of Doug Sanford's now famous "I Hate You" photographs outs herself in this angry letter to the WCP. As usual, I am sure that I have skipped some important openings, if so, please email me the details. Feb. 9 - Touchstone Gallery's 9th Annual All-Media Exhibition, juried by my good friend Jack Rasmussen, Director and Curator of the American University Museum. The opening reception is 6-8:30 pm, Friday, Feb. 9. 3rd Thursday gallery walk is on the 15th from 6-8 pm. Exhibition continues through March 3. 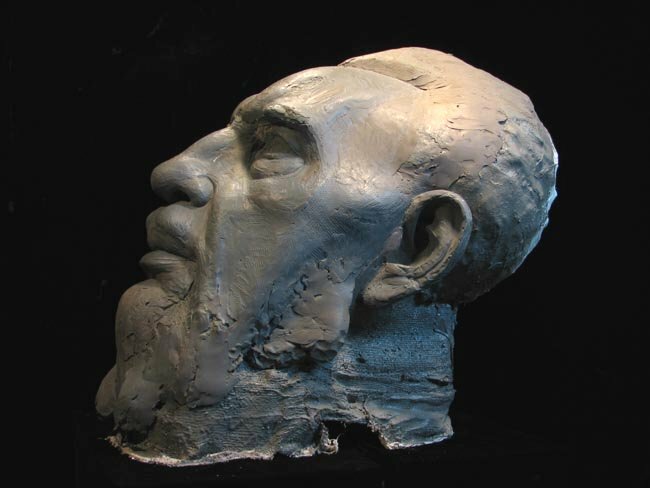 Feb. 9 - “Progressive Art,” an exhibition of new sculptures by Gary “Chris” Christopherson opens at GChris Sculpture Studio/Gallery (3144 Dumbarton Street NW, Georgetown, DC). Opening – 6-10 pm. Feb 10 - Knew Gallery in Georgetown at 1639 Wisconsin Ave, NW. Opening 5-10 PM. Art fundraiser for Latin American orphans. Feb. 13 - "Duane Hanson: Real Life," an exhibition of 15 startlingly lifelike, mixed-media sculptures of everyday people by the famed realist Duane Hanson (1925-1996), plus 75 never-before seen photographic studies by the artist, opens Tuesday, Feb. 13, at the American University Museum at the Katzen. There will be a free Artists’ Reception, open to the public, on Saturday, February 17, from 6 to 9 p.m.
Feb. 13 - "Public Display of Affection" opens right before Valentine's Day at Gallery 42 in UDC. The participating artists include a variety of disciplines: painting, printmaking, photography,sculpture, ceramics, and glasswork. The Love-struck artists include: Michael Platt, Jay Davidson, Sean Hennessy, Michael Janis, Meredith Rode, Chuan-chu Lin, Dan Venne, Mare Dianora. The opening reception for the show is Tuesday, February 13, from 6-9 PM. Informal artists talk at 8 PM on opening night. Gallery 42 is at the University of the District of Columbia (4200 Connecticut Ave NW, Building 42, Room A12, Washington, DC 20008 202-274-5781). Feb. 15 - The Hirshhorn Museum and Sculpture Garden presents "Refract, Reflect, Project: Light Works from the Collection," a new installation of works created by international artists from the late 1950s to the present. The exhibition is on view from Feb. 15 through April 8 and features objects from the collection in which light—as substance and subject—is central. Among the international artists featured are Giovanni Anselmo, Jordan Belson, Chryssa, Dan Flavin, Hiroshi Sugimoto, James Turrell, Thomas Wilfred and Gregorio Vardanega. The exhibition also highlights recent acquisitions by such artists as Olafur Eliasson, Spencer Finch, Christoph Girardet and Iván Navarro. Feb. 15 - "African Vision: The Walt Disney-Tishman African Art Collection" opens Feb. 15 at the Smithsonian's National Museum of African Art. More than 80 superb artworks from one of the world's finest and most respected collections of African art will go on view through Sept. 7, 2008. Feb. 15 - In honor of the 10th Anniversary of the Washington DC Jewish Community Center at 16th and Q Streets, the Center's Ann Loeb Bronfman Gallery is presenting an exhibition of 10 artists with local roots: five nationally recognized figures each of whom has selected another artist whose work will be on view as well. Titled "Five Artists Select Five Artists to Watch," the exhibition opens at the Center on Feb. 15 and continues through May 13. The featured artists are: Sam Gilliam, who selected Jae Ko; John Gossage, who selected Pia Calderon; Martin Puryear, who selected Otho Branson; Dan Steinhilber, who selected Y. David Chung; and Renee Stout, who selected Mary Early. The featured artists are: Sam Gilliam, who selected Jae Ko; John Gossage, who selected Pia Calderon; Martin Puryear, who selected Otho Branson; Dan Steinhilber, who selected Y. David Chung; and Renee Stout, who selected Mary Early. Feb. 15 - "Double Vision: The Photographic Work of Yanina Manolova and Mark Parascandola" opens at Nevin Kelly Gallery with a reception from 6-9PM. Through March 11, 2007. Feb. 16 - The five Canal Square Galleries in Georgetown will have their usual Second Friday openings and extended hours from 6-9PM. Feb. 17 - "All Things in Motion," opens at Randall Scott Gallery, an exhibition of art by artists who employ motion in their work. Exhibition is 6-9PM and show runs through March 17, 2007. Feb. 18 - Rob Lindsay at Washington Printmakers. Artist's Reception, featuring acoustic music by Jay Rees and Basso Moderno Duo on Sunday, February 18, 12-2 pm. March 9 - The opening reception for DCist Exposed will be March 9, 6:30pm at the Warehouse Art Gallery. The show will run until March 16. Over 200 local photographers submitted their work through Flickr, and from that pool DCist choose 40 photographs by 38 photographers. All work will be framed to archival standards and for sale. Contact heathergoss [at] gmail [dot] com for details. Feb. 10 - Light Street Gallery has a catered reception from 5-9PM for artist George Sekkal's "The Politics of War - Maximism," which brings the artist's award-winning anti-war political collages to Baltimore. Feb.9 - Second Fridays for 13 Bethesda area art galleries and art venues, including a free guided Art Walk on most months (starting in April). Details here. Feb 9 - Fraser Gallery hosts a ton of photographers selected by Catriona Fraser for the 6th Annual International Photography Competition. Opening reception and awards presentation on Feb. 9 from 6-9PM. Feb. 9 - Neptune Gallery has "Love Birds" with work by Lisa Brotman, Elyse Harrison, Laurel Hausler, Michael Janis, John Lancaster, Matthew Lawrence, Kirk Waldroff and David Wallace. 6-9PM. March 9 - My Tender Muse - Oil Paintings by Murman Kuchava (who lives and works in The Republic of Georgia) at Creative Partners Gallery. March 6, 2007 through April 7, 2007. Feb. 8 - Second Thursdays multi-gallery openings in the area north of Northern Liberties. Details here. Feb. 8 - Nexus is reopening in its new spaces and they will we reopen Nexus in their new home and at the same time inaugurate "Second Thursdays," a new monthly event of openings by galleries that are north of Northern Liberties. Second Thursday will be held February 8th from 6 to 9 PM. Their inaugural show in their new digs features two digital exhibitions by Jennie Thwing and Catherine Passante. Through Feb. 25, 2007. Feb. 9 - "Neighborhood Artists" at Twenty Two Gallery (236 S. 22nd Street (on 22nd between Locust & Spruce Sts. Tel: (215) 772-1911). More than 15 artists from the gallery's neighborhood show works that include: oils, watercolors, pastels, fabric, photography and more! Opening Reception: "Second Friday," Feb. 9, 2007, 6pm to 9pm. Exhibit continues through March 8, 2007. Feb. 9 - Sande Webster opens a new show titled "Refractions," and it runs from Feb. 6th thru March 1st. Reception: Friday, Feb. 9th from 6-8 pm. Feb. 16 - "Coming of Age: Emerging and Established Wood Artists," at Wood Turning Center. The opening reception takes place on February 16th from 5pm to 7:30pm and will feature a gallery talk by Albert LeCoff, Wood Turning Center Executive Director and a special talk by artist Peter Exton. Artists include Michael Brolly (US), Richard Hooper (UK), Richard Raffan (Australia), Betty Scarpino (US), Mark Sfirri (US), Ben Blanc (US), Peter Exton (US), Louise Hibbert (US formerly Wales), Thierry, and Martenon (France) and Holly Tornheim (US). Through May 19, 2007. Feb. 17 - JMS Gallery has sculptures by Salvatore Cerceo and Pavel Efremoff and also paintings by Robert Melzmuf opening with a reception on Feb. 17 from 4-7PM. Exhibition through March 24, 2007. Feb. 22 - "Abu Ghraib Detainee Interview Project: Daniel Heyman" at The Print Center. Reception: Thursday, February 22, 5:30 - 7:30 p.m. Through May 5, 2007. Mar. 2 - Third Street Gallery has work by Marge Peterson (also showing Marci Feldman) and the reception is March 2 from 5-9PM. Show through April 1, 2007.